Welcome to the house of highest quality didgeridoos! Duende didgeridoo is a place of high end didgeridoos crafted by Dubravko Lapaine and Danka Tišljar. We believe we have some unique aces up our sleeve when it comes to didgeridoo making. Firstly, Du’s unique technical level of playing. Secondly, our didgeridoo recording experience and results. And lastly, our years of devoted making didgeridoos from high quality wood using ever developing methods. 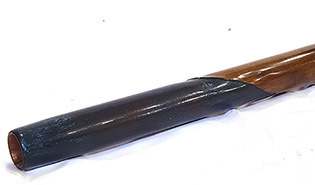 We make one piece didgeridoos from hard, harder and hardest wood on the planet. We make them with purpose to shine both in terms of sound and playability. We make our didgeridoos with unique experience in recording and unique technical level in background. We make our instruments to inspire people to play. We offer two classes of instruments: our original no-compromise GOLDEN CLASS and our NEW more affordable SILVER CLASS. We invite you to visit our MAGICAL BOUTIQUE to see our Golden/Master Class didgeridoos that are available now, but also to get inspired with our previous instruments as a starting point for a custom didgeridoo made for you. If you want a lot of sound for smaller investment, we recommend you visit our Silver/Apprentice Class Page starting with our first Silver instrument Kairos. We also want to offer you a comprehensive collections of articles with collected knowledge on didgeridoo as a musical instrument and on didgeridoo playing techniques. They can help you with understanding our way of thinking and making didgeridoos and choosing your own Duende instrument. 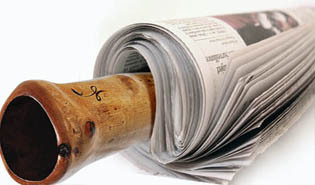 Don’t forget to check our news blog with periodical free writings on anything connected to didge making. If you are interested to know about our future didgeridoos and special offers, subscribe for a periodical Duende Didgeridoo newsletter. We hope we’ll be able to inspire you on your didgeridoo path! We our proud to present our newest addition to the silver line of instruments: Moytze didgeridoo – also knows as the Stinkyroom didge that has proven to be a universal beast that can handle it all! See for yourself in the video below or head to the Moytze page for more information.